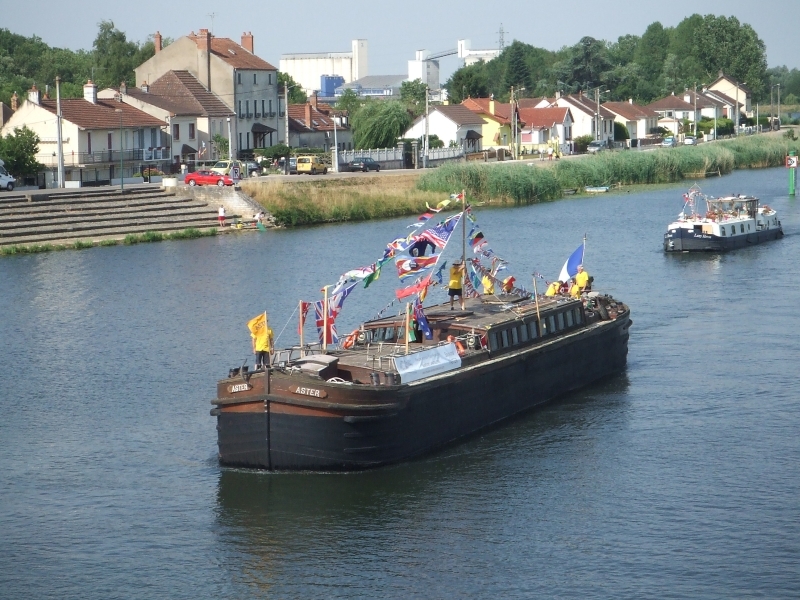 30 metres long, she was built in 1951 and originally worked the Canal du Nivernais as a horse-drawn boat. In the 1970's she became a trip-boat after extensive renovations. 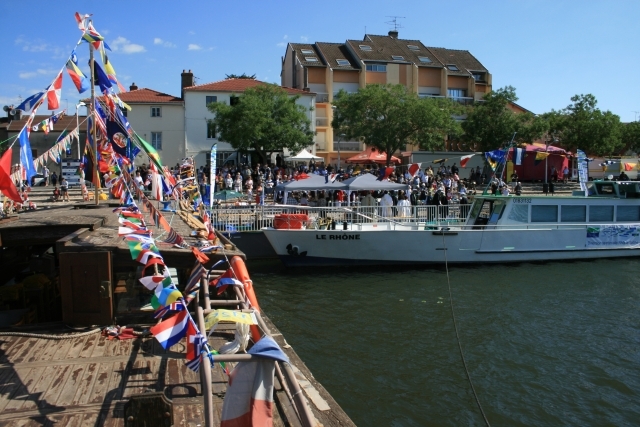 New safty regulations introduced in 1999 was a financial commitment too far for the boats owners, The General council of Vievre. This spelled the beginning of the end for Aster. Sadly since 2002 she was lying idle and slowly rotting away. 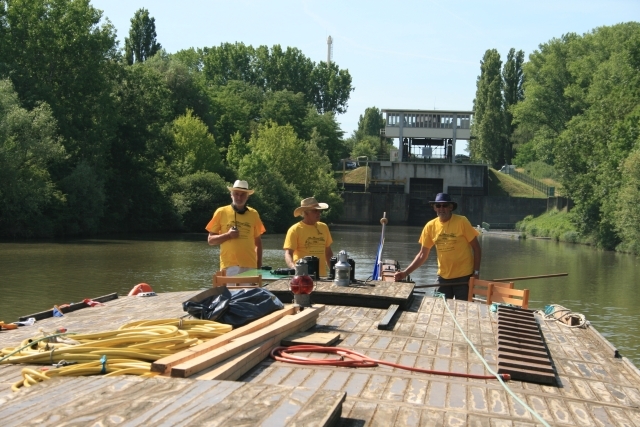 It was agreed that the Musee de la Battellerie in St. Jean de Losne would take ownership of the boat for a token 1 Euro in an effort to save the historically important ship. 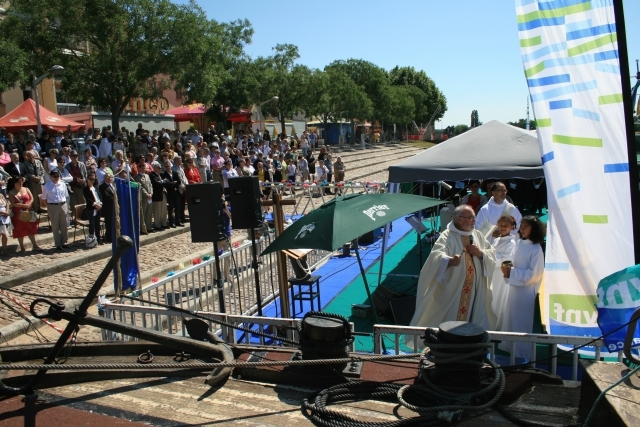 Under the directorship of Charles Gerard of H20, St Jean de Losne, a party of 9 spent a week piloting Aster back to St. Jean where she would be renovated and have a new home. 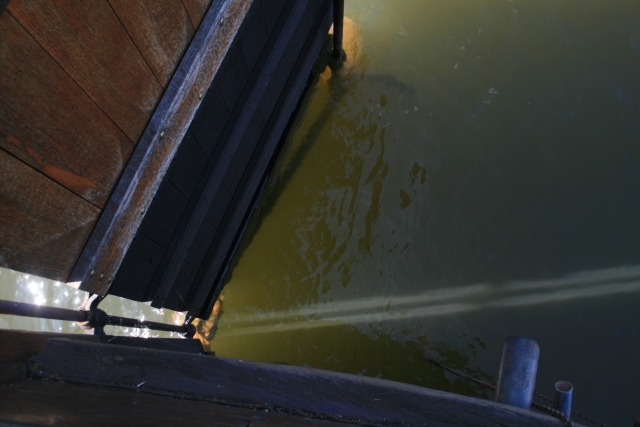 The story is documented on the Museum's web site, including daily trip reports from on board and hundreds of photographs of Aster, her unique propulsion system and her crew. Look at the propeller on the end of the rudder! !